This past week Grace and Michael were off from school for their spring break. Chris and I decided a trip to Washington DC would be the perfect way to spend part of this time off, so on Wednesday we headed south. 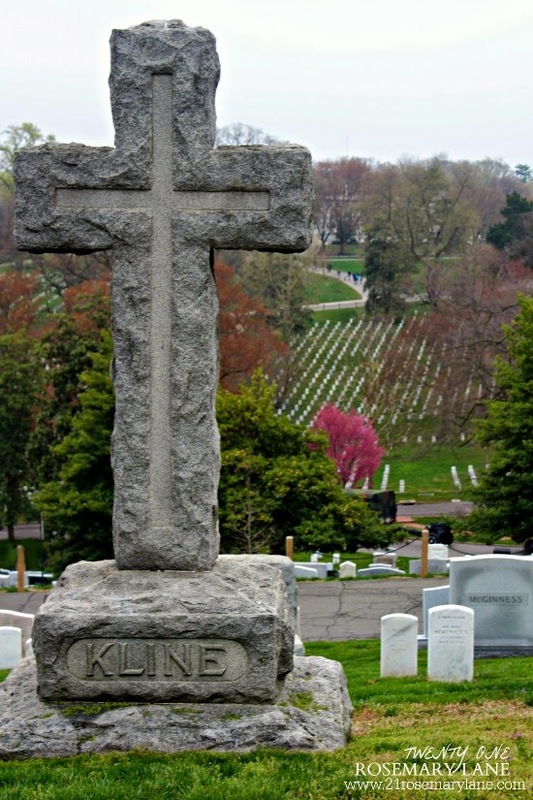 One of the places we planned to visit is Arlington National Cemetery, which was established in the year 1864 as the burial place for the dead of our nation's conflicts. These grounds were once the estate of confederate general Robert E. Lee, and the home upon it is known as the Arlington House. 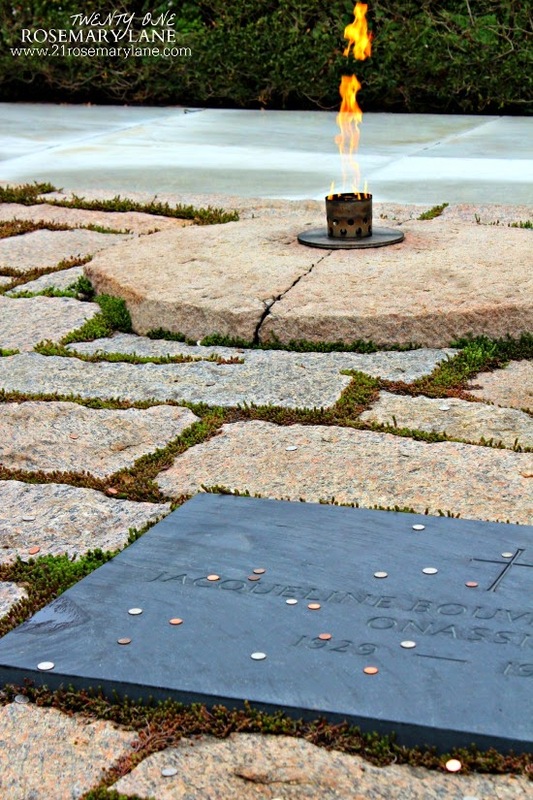 The most widely visited grave site in Arlington Cemetery is that of President John F. Kennedy. granite stone at the head of the grave. Jacqueline Bouvier Kennedy Onassis was interned next to the 35th president of the United States in May of 1994. She was 64. 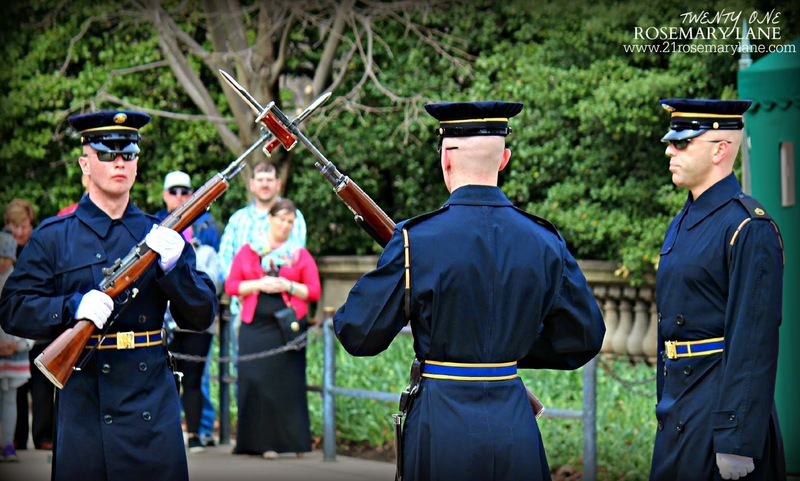 We watched the changing of the guards at the Tomb of the Unknown Soldier. 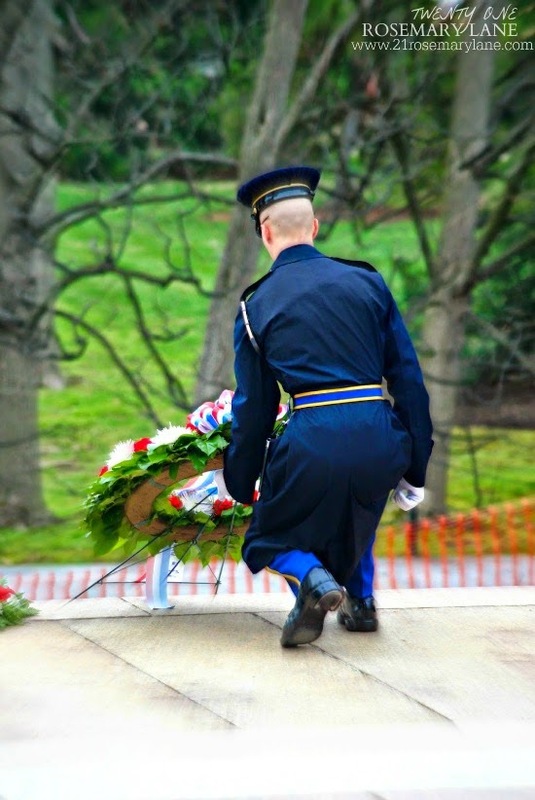 This tomb is guarded 24 hours per day 365 days of the year by the 3rd U.S. Infantry Regiment, traditionally known as "The Old Guard". 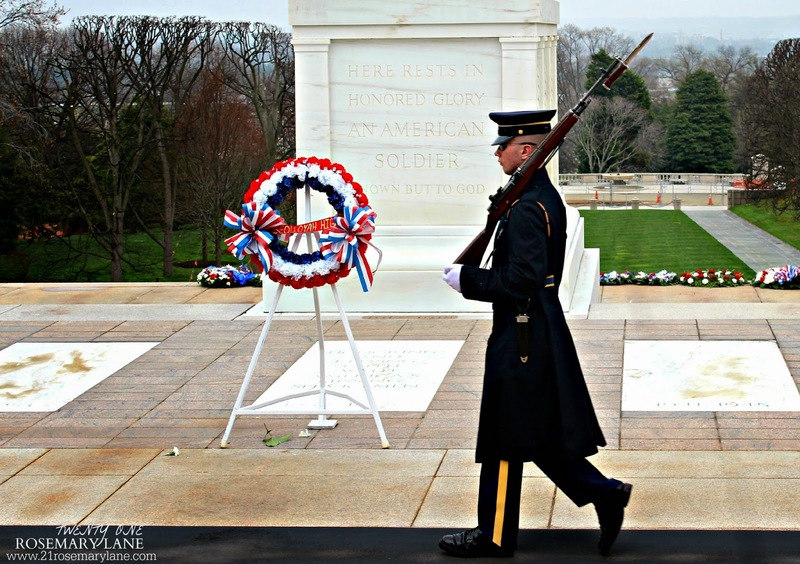 The tomb has been perpetually guarded since July 2, 1937, by the U.S. Army. 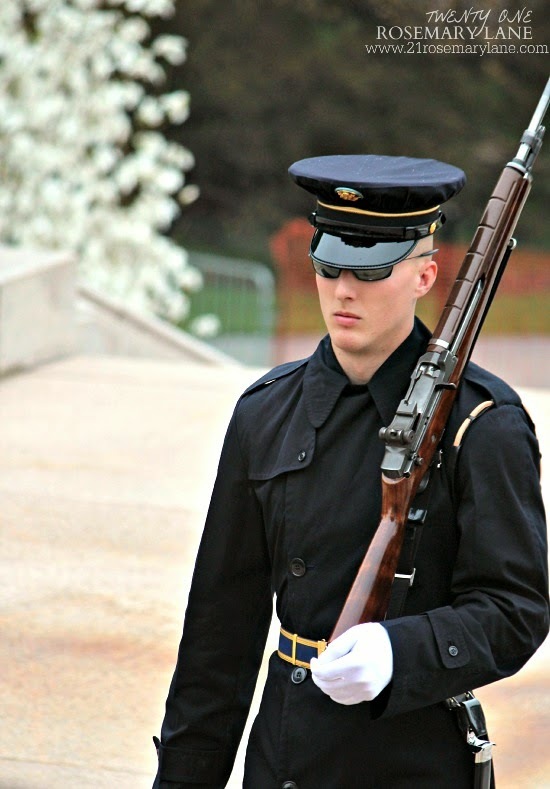 The 3rd U.S. Infantry Regiment ("The Old Guard") began guarding the Tomb on April 6, 1948. 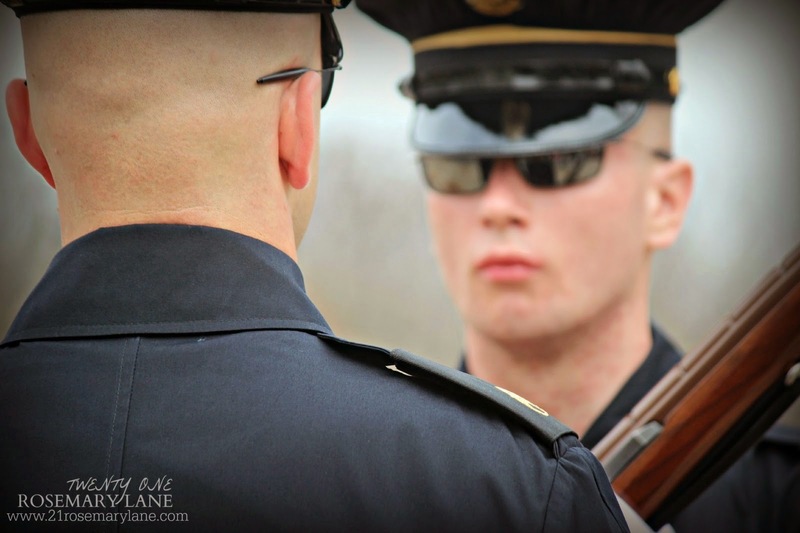 There is a meticulous routine which the guard follows when watching over the graves. Marches 21 steps down the black mat behind the Tomb. Turns, faces east for 21 seconds. Turns and faces north for 21 seconds. Takes 21 steps down the mat. 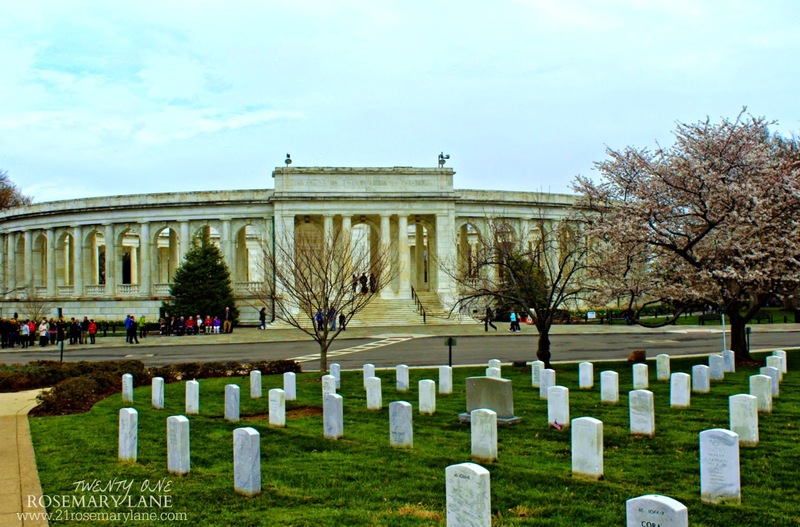 Despite the cold and cloudy weather conditions, we were overwhelmed by the beauty of Arlington National Cemetery. 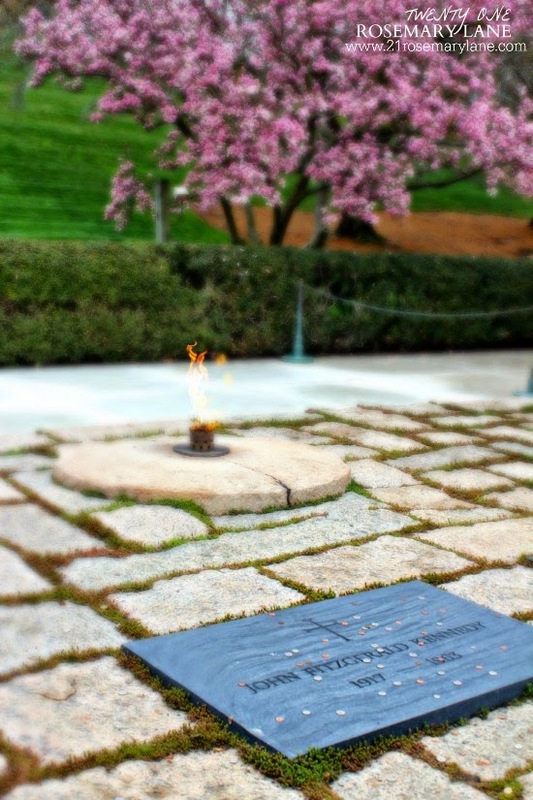 It was also very hard not to feel emotional as we walked these hallowed grounds. 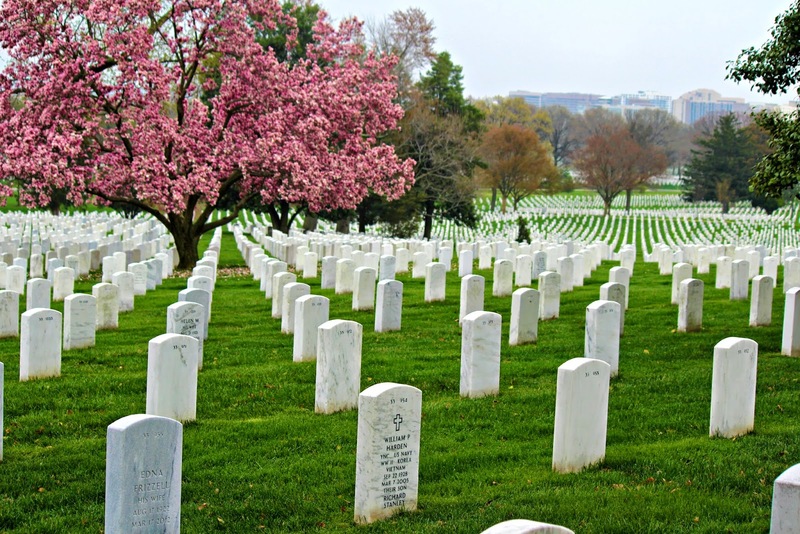 Arlington is filled with history, beauty, and the somber reminder of those who served to protect our country so that we may enjoy the precious freedoms of life, liberty and pursuit of happiness. To witness first hand the precision, dedication and commitment of the men and women who protect our country everyday, is truly a spiritual experience. 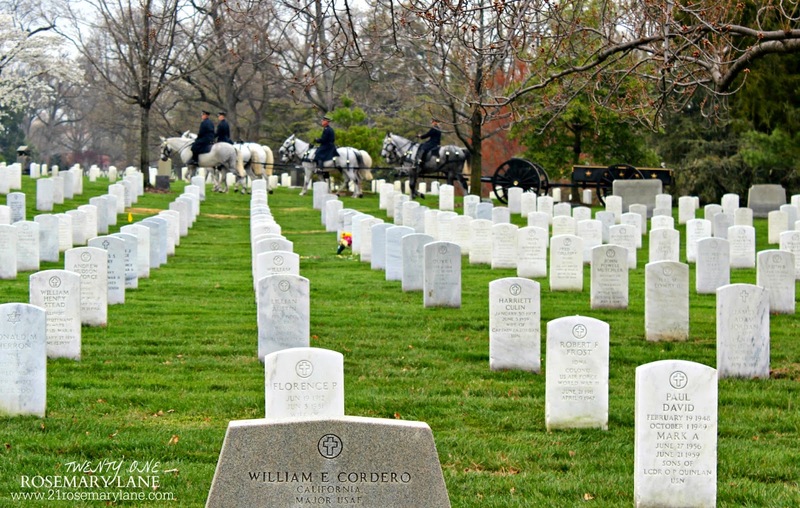 "Today is the day we put aside to remember fallen heroes and to pray that no heroes will ever have to die for us again. 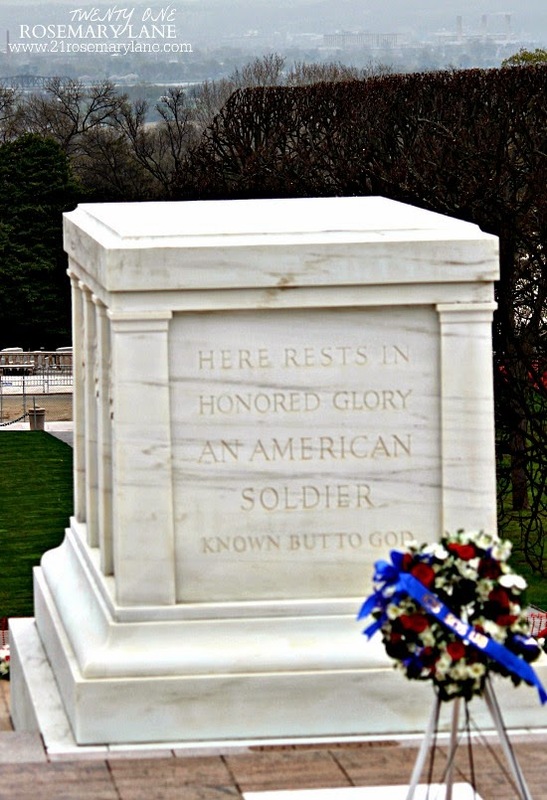 It’s a day of thanks for the valor of others, a day to remember the splendor of America and those of her children who rest in this cemetery and others. It’s a day to be with the family and remember." ...and a place to keep deep in our hearts. This is beautiful, Barbara. Thank you for sharing this. 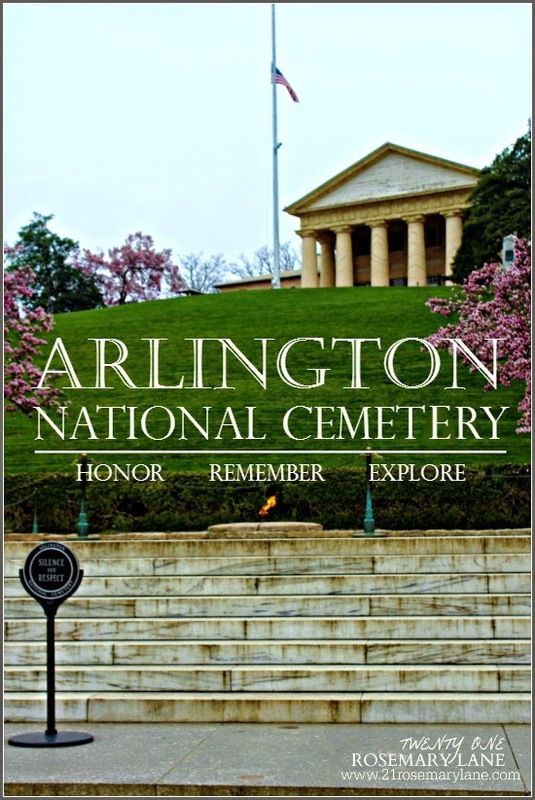 I have been to DC and surrounding areas numerous times, but have never walked Arlington. There is no doubt in my mind it leaves a spiritual impression on anyone who goes there. Every photo is a wonderful and moving tribute. What a beautiful post. I had the same feelings that you had. The grounds are so well kept. 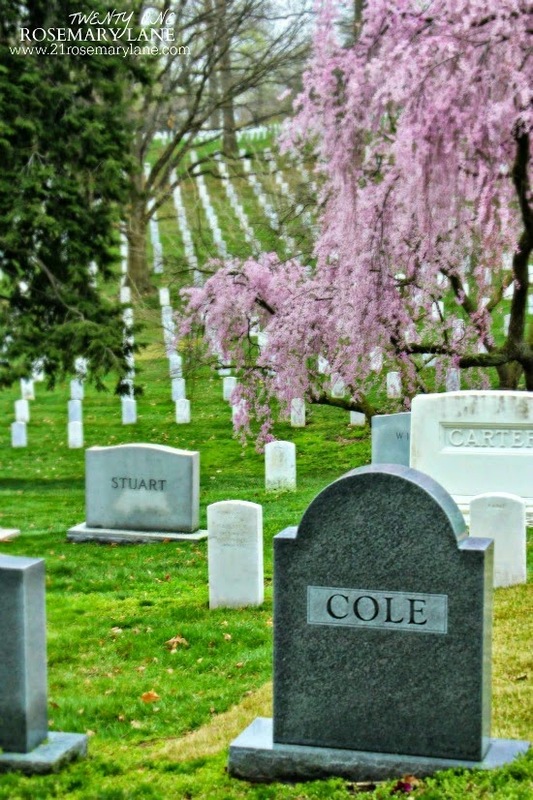 I believe there were over 4 funerals going at the same time, but in different parts of Arlington. Really gave me a chill down to my bones. We also toured Robert E. Lee's home. The view from there is spectacular looking across the river. Thanks so sharing this with us. A beautiful place and great pics! Thank you for this wonderful post! 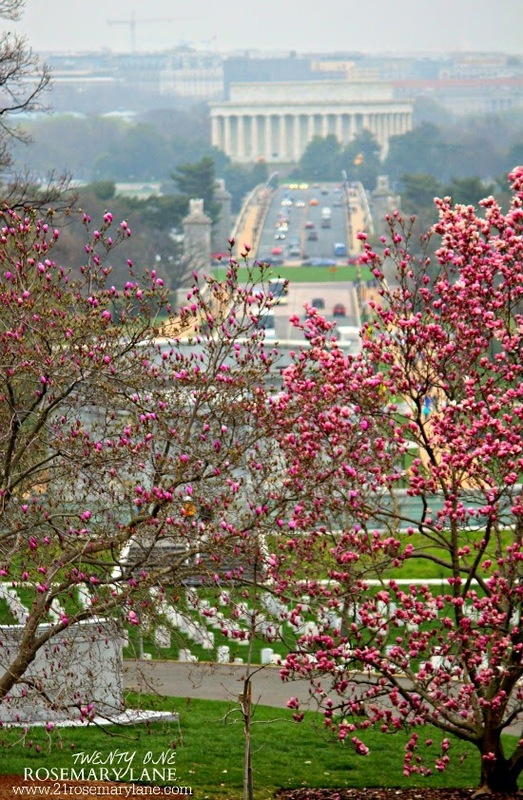 Arlington National Cemetery is so beautiful and seeing each and every grave certainly puts life in perspective. 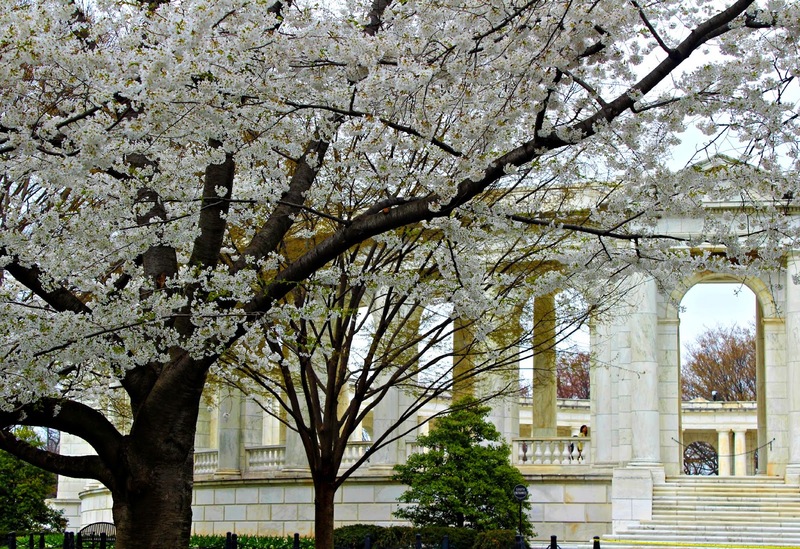 I have often said that every American should visit Washington as it brings back such a sense of pride in being an American! 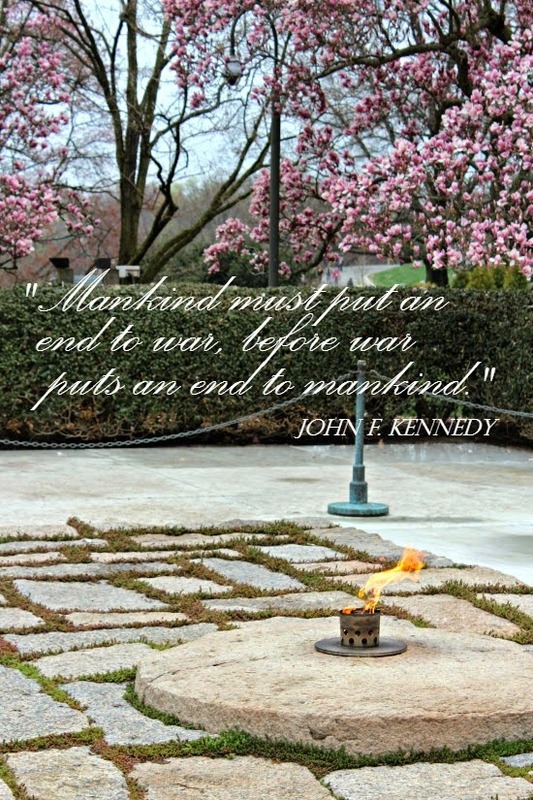 Also, thank you for the JFK quote which is just as true today as when President Kennedy spoke those words so many years ago.